The very first Volkswagen Beetle had only 25 horsepower, so it’s pretty incredible to think that there’s now a bug that has 30 times that much power raging behind its driver. 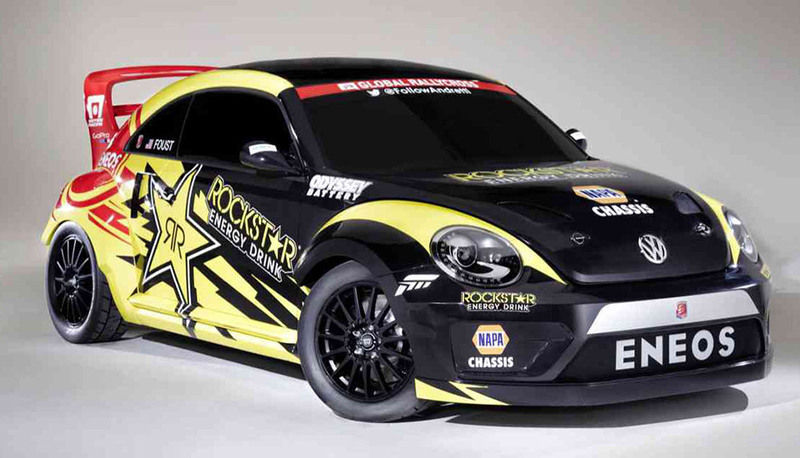 This very special Global Rallycross (GRC) Beetle only has a 2.0-liter direct-injected TSI engine, but through the miracles of turbocharging, it will output “more than 600 horsepower.” If that’s not enough, it’s also an all-wheel-drive. 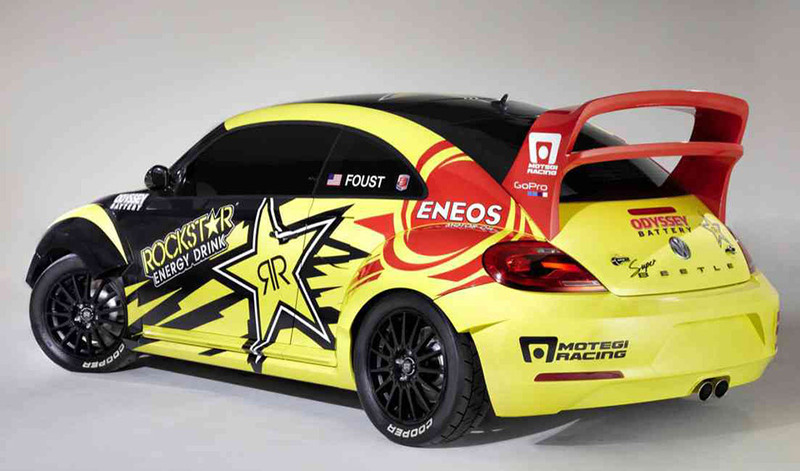 The Rockstar-sponsored bug will be the car that Andretti Autosports plans on using for the back half of its 2014 rally season. Tanner Foust is the lucky one who gets to drive the car. Teammate Scott Speed will be racing in a yet to be revealed 7UP-sponsored Volkswagen.